Q. How do I find a scholarly journal article? A scholarly, academic, or peer-reviewed article has been read by subject experts before publication. Most of the TCL databases allow you to limit your search to peer-reviewed articles. When you search in a database, look for a box that says something like "limit results to peer-reviewed publications" or "scholarly (peer-reviewed) publications." In some databases, this option will be available on the homepage. 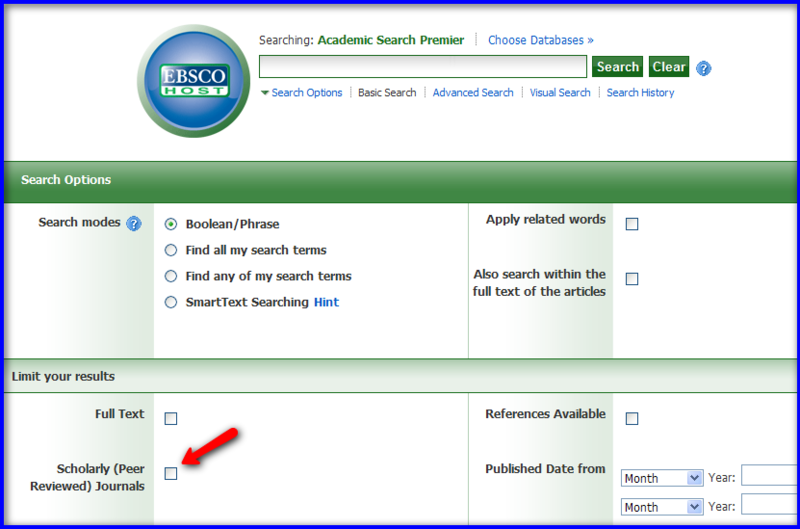 In others, you may have to click "Advanced Search" to find the peer-reviewed option.